1. Have a clear understanding of the company and why it exists. When you’re looking for a job, the first thing you need to do is research the company you’re targeting. Your goal is to get a clear sense of what the company does, why it does it, and what it’s like to work there. When it comes to getting a job at Medidata Solutions, you need to dig a little deeper if you want to stand out, according to Susan Hailey, Vice President of Medidata Solutions. "Job seekers should research the Life Sciences industry, and specifically the technology to automate all aspects of clinical trial development,” said Hailey. 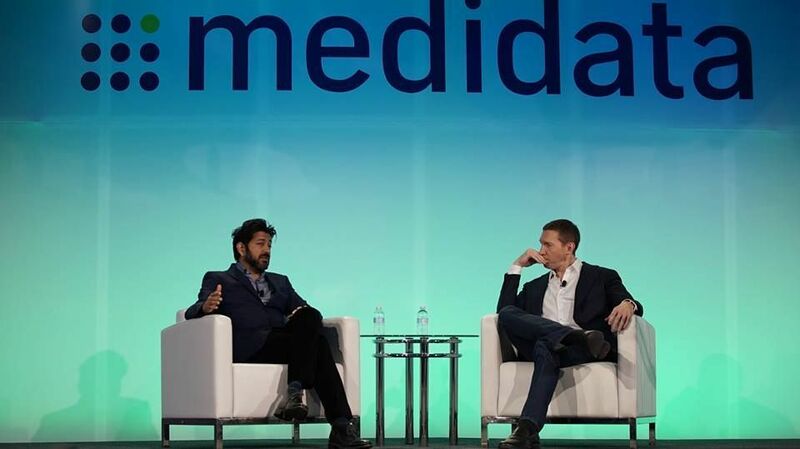 While you want to dedicate time to research the industry as a whole, you can also get a sense of what Medidata Solutions does on its Glassdoor page by checking out the company Overview, Reviews, Jobs, and more. This information will help you articulate your passion for the industry and ask pointed questions about the company mission, goals, and so on. When you’re trying to beat another candidate for the role, having strategic conversations about the company and industry can go a long way. 2. Find out what people are saying about the company. How do people describe the work environment? What do people love about working there? Getting insight from people who currently work there or have worked there in the past can give you an idea of what to expect as an employee, topic ideas for your cover letter, talking points for your interview, and so on. 3. Use the information to your advantage. When you’re ready to apply for a job at Medidata Solutions, it’s important to really customize your approach based on what you learned about the company and job. Think about what you found on the Medidata Solutions Glassdoor page. Were there any themes? Was there specific language that was used over and over again? Was there something that stood out more than anything else? All of this information can be applied to your resume, cover letter, LinkedIn profile, and interview strategy so you can stand out in an amazing way. Plus, this information can give you some great talking points when you meet people within the company. Don’t just collect information. Be intentional with how you use it. Land a great job at Medidata Solutions. Ready to get started? 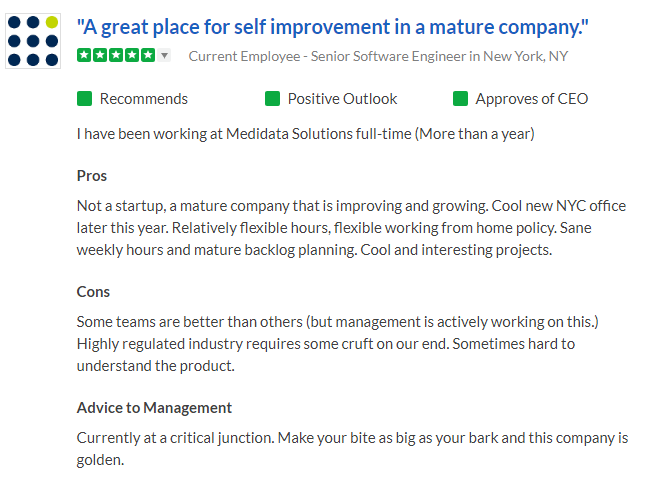 If you’re interested in getting a job at Medidata Solutions, check out its Glassdoor page. If you need additional help with your job search, check out Work It Daily’s trusted, easy-to-use career support platform.